Protecting your business is number priority these days. Dark parking lots putting you and your employees in danger. Thieves on the outside of your business taking what isn't theirs. Even more scary thieves on the inside taking what they want, knowing that no one is watching them, and knowing that they are trusted. Family stealing from family. Vandals walking the streets destroying your property. Unfortunately these situations are a reality nowadays. 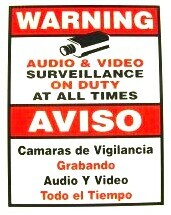 With our help you can Protect your assets, yourself, your employees, and your loved ones with a simple Surveillance System. The systems we install will make you feel safer knowing that your assets are being watched when you are unable to watch them yourself. With an outdoor color camera that changes to black and white in low light attached to a motion sensor you can be sure that that dark parking lot isn't going to be scary anymore. 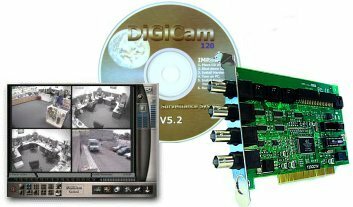 With a Digital Video Recording Card, or a Digital Video Recorder you will have remote access to view your cameras anytime over the internet for a little extra security.